The Senior Leadership Group (SLG) is charged with ensuring that the programme meets the obligations of its sponsors while fulfilling its mission and long term goals. The SLG is comprised of four University of Zimbabwe (UZ) members (Z.M. Chirenje, J. Hakim, T. Chipato, M. Mbizvo); a UCSF member (J. Brown); and one local non-voting member with legal and accounting backgrounds. At monthly meetings, the local SLG members review fiscal matters and performance indicators across the programme, including CRS progress reports. Additionally, the CRS Site Leaders, Pharmacy Director, Laboratory Manager, and CTU Administrative Director report quarterly to the SLG. The SLG also receives regular reports from the Community Department and Community Advisory Boards. The fully constituted, seven-member SLG meets twice annually. Z. M. Chirenje, MD, FRCOG has 22 years of experience in research administration and scientific leadership. He has served as the Principal Investigator (PI) of UZCHS-CTU since 2002. He is a Professor of Obstetrics and Gynecology at the University of Zimbabwe College of Health Sciences (UZCHS), and also holds an appointment in the Department of Obstetrics, Gynecology, and Reproductive Sciences at the UCSF School of Medicine. Dr. Chirenje is a member of the scientific advisory committee of the International Partnership for Microbicides (IPM), as well as a member of the World Health Organization (WHO) HPV expert committee. He has over 80 publications that include peer-reviewed articles, book chapters, and editorials. James G. Hakim, MBChB, MRCP, is a Professor of Medicine at the UZCHS and is a cardiologist with 20 years experience in conducting clinical trials. 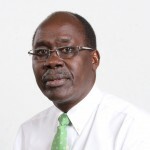 He is Parirenyatwa CRS Leader and is an active member of the ACTG network, where he has served as a member for the following committees: ACTG Scientific Agenda Steering Committee, Antiretroviral Committee, and HPTN Executive Committee. He has over 80 publications that include peer-reviewed articles. Tsungai Chipato, MBChB, FRCOG, is a Professor of Obstetrics and Gynecology at the UZCHS with more than 16 years of experience in clinical trials, including pharmacokinetic studies and Phase III placebo controlled trials. Since 2007, he has been CRS Leader for St. Mary’s CRS, where in 1998 he was instrumental in implementing the first PMTCT studies in Zimbabwe. 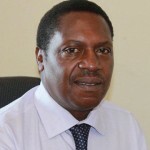 Dr. Chipato is a member of the Medical Research Council of Zimbabwe Technical Committee and is the current Chair of the Board of the Zimbabwe National Family Council. He has 39 publications that include peer-reviewed articles. 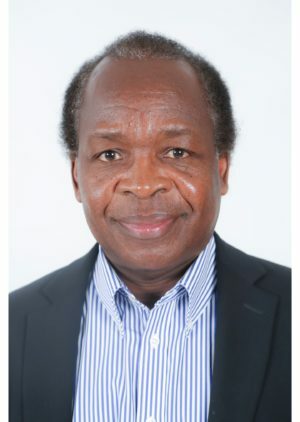 Michael Mbizvo, PhD, is one of the founding members of UZCHS-CTRC and has 15 years of research experience as a laboratory scientist and another 15 years as a senior research advisor at WHO. His research expertise includes microbicides development and reproductive issues among men. Joelle Brown, MPH, PhD, is an epidemiologist and Associate Professor of Obstetrics, Gynecology, and Reproductive Sciences, and Epidemiology and Biostatistics at the UCSF School of Medicine. She has lived and collaborated on health research in Zimbabwe since 1999, and has served as a SLG member since 2014. Her areas of expertise include clinical trials, HIV prevention, implementation science, and she is currently directing a program of research on safer conception strategies for HIV-affected women and couples. She has worked in global reproductive health research, implementation, and policy activities for 15 years, and has authored over 30 peer-reviewed publications. Roseline Zigomo, LL.B., LL.M., has over 19 years of experience in human rights advocacy, promoting democracy and governance, and working on institutional rule of law reforms. She has proven experience in international programmatic management and support, and is currently the Principal Director of Government and Legal Affairs for the Prime Minister’s Office in the Government of Zimbabwe. Ms. Zigomo has been a non-voting local advisory member of the SLG for legal matters since 2011. Margaret Borok, MD, FRCP is a Professor of Internal Medicine at the UZCHS, with 20 years experience in clinical research and research management and manages the only referral clinic for patients with AIDS and Kaposi Sarcoma (KS). She is a committee member of the Strategies to Improve Kaposi Sarcoma (KS) Outcomes in Zimbabwe (SIKO) initiative. She sits on the international committee and KS working group of the AIDS Malignancy Consortium (AMC) under the NCI (National Cancer Institute) of the NIH. She has 27 publications that include peer-reviewed articles. Mutsawashe Bwakura-Dangarembizi, MBChB, MMed, MSc, is a pediatrician at UZCHS, with 10 years of experience in pediatric HIV clinical trials and was instrumental in the establishment of a children’s HIV clinic at the Family Care Centre at Parirenyatwa Hospital. She is member of the IMPAACT Network Executive Committee (NEC). Tsitsi Magure, MBChB, MMed, is a lecturer at UZCHS, with over eight years of experience in protocol development and implementation of HIV clinical trials, with particular interest in the prevention of HIV in women and HPV acquisition. Chiedza Charles Maponga, PharmD, PHPE, is a Clinical Pharmacy Professor with 29 years-experience in Pharmacy Practice and is Director of the School of Pharmacy at UZCHS. He serves as Consultant Pharmacy Director for UZCHS-CTRC, where he oversees pharmacy establishment plans, drug regulatory matters, supply chain management, and clinical pharmacology related issues. 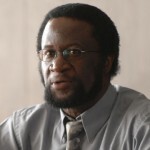 He is Principal Investigator and Director of the Fogarty AIDS International Training and Research Program (AITRP) program which supports implementation of a postgraduate training initiative with an emphasis on HIV and AIDS clinical pharmacology between the University at Buffalo (UB) and the University of Zimbabwe (UZ). He has published over 37 publications which include peer-reviewed articles. Nyaradzo Mavis Mgodi, BSc, MBChB, MMed, is a Clinical Pathologist, with six years experience in the conduct and administration of clinical trials. She is the CRS Leader for Zengeza CRS and has been instrumental in the completion of two HIV prevention clinical trials. 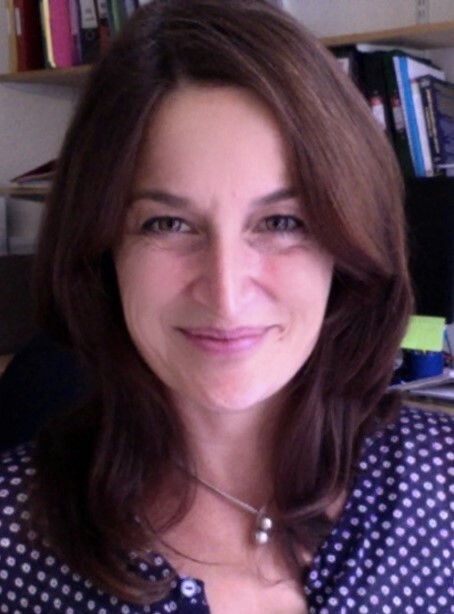 She has co-authored one peer-reviewed article, delivered an oral presentation at the Microbicides 2012 meeting in Sydney, Australia, as well as three poster abstracts and one book review. Felix Muhlanga, MBChB, MMed is a lecturer of Obstetrics and Gynecology at the UZCHS with six years experience conducting Phase II/III Microbicides clinical trials and is CRS Leader for the Spilhaus CRS. He is an experienced colposcopist and reproductive health researcher. He is a protocol co-chair for the planned MTN-018C sub-study. He has co-authored 2 peer-reviewed articles. Hilda A Mujuru, MBChB, MMED, MSc (Clin. Epid), is a pediatrician at the UZCHS, with 16 years of research experience and established the first HIV adolescent clinic in Harare. She is a member of the Zimbabwe National Medicines Therapeutic and Policy Advisory Committee, is a member of the Ministry of Health Zimbabwe TB/HIV subcommittee, and a member of the National Childhood TB Technical Working Group. She has assisted in developing national guidelines on pediatric HIV management. She is currently a member of the Inflammatory Syndrome for International Sites Query Group for the IMPAACT Network. Nehemiah Nhando, MBChB, MPH, Senior Medical Officer, is a public health physician with 10 years of experience in clinical research and assurance of participant safety. His research interests include HIV/TB co-infection, hepatitis, and tropical diseases. Wadzanai Samaneka, MBChB, MSc (Clin. Epid), Senior Medical Officer, is an investigator and Clinical Epidemiologist with seven years of experience in clinical research, with experience in managing HIV co-morbidities. Lynda Stranix-Chibanda, MBChB, MMed, is a pediatrician and part-time lecturer at UZCHS, with over 12 years of experience working in maternal and child health service programs and research projects in urban Zimbabwe. Her experiences in maternity units has allowed her to provide specialist support to midwives during routine follow-up of vulnerable infants at the primary care level. She is CRS Leader for Seke North CRS, and co-authored a secondary publication for HPTN 046 relating to the interaction of nevirapine and cotrimoxazole prophylaxis.